To improve the safety and strength of glass to Australian Standards, toughened, laminated and furnaced laminated glass has been developed. 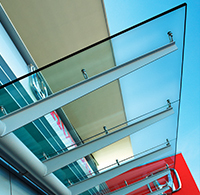 For structural, load-bearing glass, laminated glass with special Sentry Glas® Plus interlayers (SGP) are used. 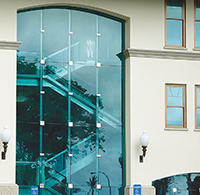 Sentry Glas® interlayers are used where standard PVB laminated glass fails to meet load and impact demands imposed. Laminating toughened or heat strengthened glass for high strength, structural or wind load requirements.